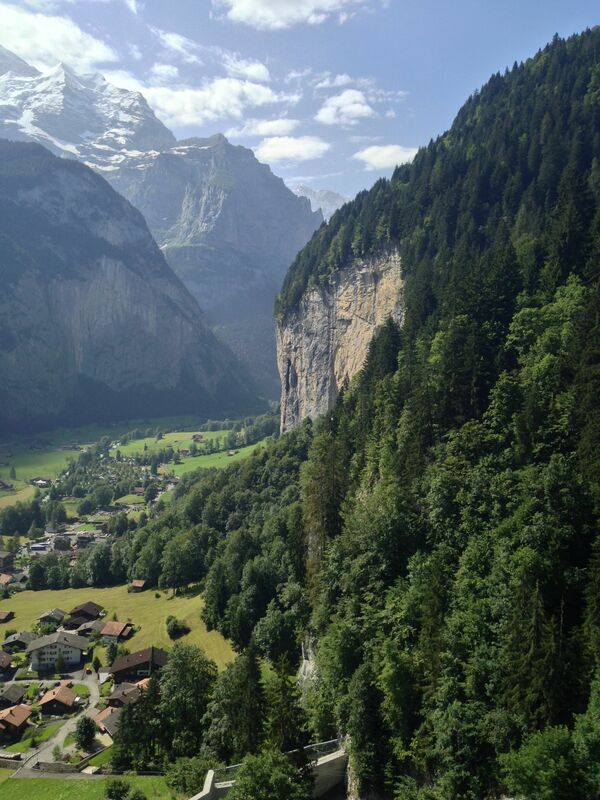 Going to the aikidō seminar in Mürren with Cindy Hayashi and Roland Spitzbarth has been one of my most regular activity: I now have been every year since 2010; doing aikidō in the middle of the alps, with a breathtaking scenery. This year, a third teacher participated to the seminar: Marcel Schriber, I think this resulted in a very balanced teaching, which I found way smoother than the previous year with Robert Nadeau, as each teacher integrated the course of the other ones. This year the semianar only lasted from Monday to Saturday morning, which was not a bad formula, as there was no interruption for touristic activities, this gave a more compact course. Of course, I ended up being very exhausted. This year we were pretty lucky with the weather, which was sunny without being overly hot, so we often did the weapon training outside. On a platform used by base-jumpers to prepare themselves. Training with a wooden sword before breakfast seems like a very reasonable activity: we don’t wear go-pros. It is always difficult to say what I exactly learn in those aikidō seminars, mostly it is an occasion to train more and with more advanced and dedicated people. I mostly notice that things that seems very hard last year are now just hard. Still I found the exercices on the energy levels, and the way we practice when we are tired very interesting. So were the rolls and warm up exercices, which are pretty different of what I do regularly in my dōjō. This entry was posted in English, General, Seminar and tagged Aikidō, Hayashi, Mürren. I joined once a lesson of Cindy in Zurich. I’m very much impressed of her Aikido!